Anyone done one, and is there a certain place you should cut them down? I'd add a plate on the inside too, but just not sure best place to cut it for shortening. 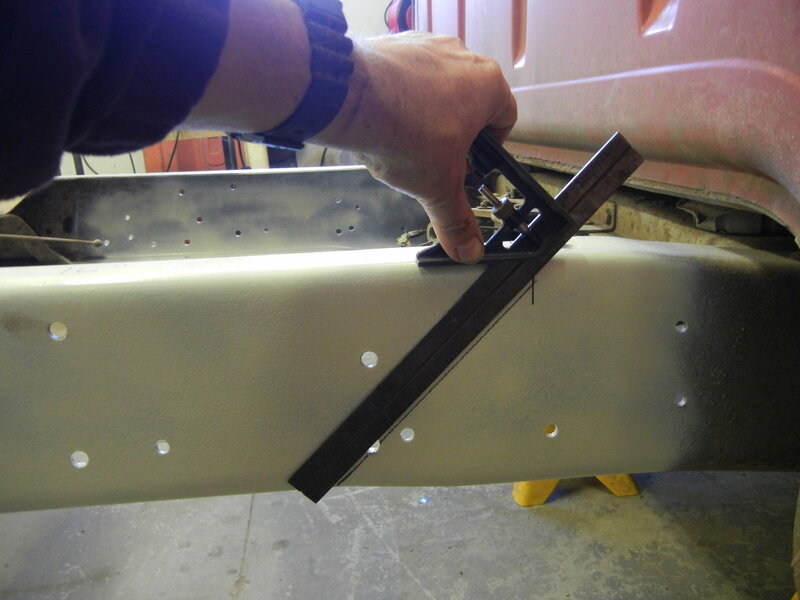 I am a body man, so my main concern is best place for shortening up the frame. Any suggestions would be appreciated. I have located short boxes, so that end would be covered. I'm pretty sure no one has done one in the history of doing things. I did this 1 in 1980. Started with a 77f250 The box came off a 67 ford. But I couldn,t find any ford ford fenders, so I used what I had, chev fenders. My picture above. I actually went vertical down 1" from the top and up 1" from the bottom and joined the two with the 45 degree cut. I found it easier to line up that way. I appreciate all the replies. How far back of the cab do you set this up to be cut? Is there specific measurements? I don't have a box yet, so should i make sure I have a box first, or would it really matter if I'm going to cut down a long box? I figured if there is exact cutting measurements, I could always cut my frame down first, and get a box later, regardless if I go with a short or long box. I am a body man, so I am sure i can handle this, just wanted to ask many what they ran into doing this conversion before I start.